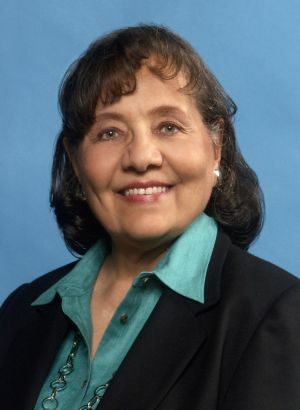 Civil rights activist Diane Judith Nash was born on May 15, 1938 in Chicago, Illinois to Leon Nash and Dorothy Bolton Nash. Nash grew up a Roman Catholic and attended parochial and public schools in Chicago. In 1956, she graduated from Hyde Park High School in Chicago, Illinois and began her college career at Howard University in Washington, D.C. before transferring to Fisk University in Nashville, Tennessee. While a student in Nashville Nash witnessed southern racial segregation for the first time in her life. In 1959, she attended nonviolent protest workshops led by Reverend James Lawson who was affiliated with the Nashville Christian Leadership Conference. Later that year she protested exclusionary racial policies by participating in impromptu sit-ins at Nashville’s downtown lunch counters. Nash was elected chair of the Student Central Committee because of her nonviolent protest philosophy and her reputation from these sit-ins. By February 13, 1960, the mass sit-ins that began in Greensboro, North Carolina on February 1 had spread to Nashville. Nash organized and led many of the protests which ultimately involved hundreds of black and white area college students. As a result, by early April Nashville Mayor Ben West publicly called for the desegregation of Nashville’s lunch counters and organized negotiations between Nash and other student leaders and downtown business interests. Because of these negotiations, on May 10, 1960 Nashville, Tennessee became the first southern city to desegregate lunch counters. After the Nashville sit-ins, Nash helped coordinate and participated in the 1961 Freedom Rides across the Deep South. Later that year Nash dropped out of college to become a full-time organizer, strategist, and instructor for the Southern Christian Leadership Conference (SCLC) headed by Dr. Martin Luther King, Jr. In 1966, Nash joined the Vietnam Peace Movement. Through the 1960s she stayed involved in political and social transformation. In the 1980s she fought for women’s rights. Nash now works in real estate in her home town Chicago, Illinois, but continues to speak out for social change. Rosetta E. Ross, Witnessing and Testifying: Black Women, Religion, and Civil Rights (Minneapolis, Minnesota: Fortress Press, 2003); http://tennesseeencyclopedia.net/imagegallery.php?EntryID=N003.